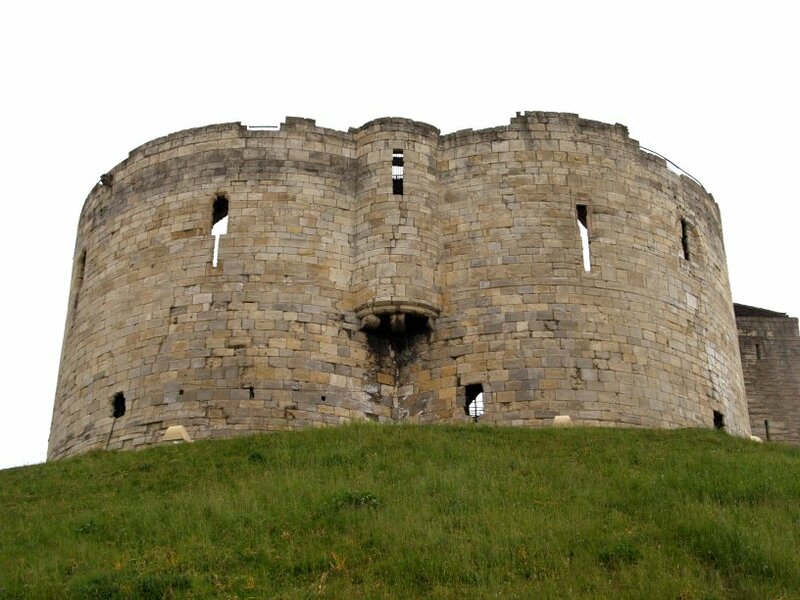 Clifford's Tower (managed by English Heritage) was built on the orders of Henry II who lived from 1216 to 1272. 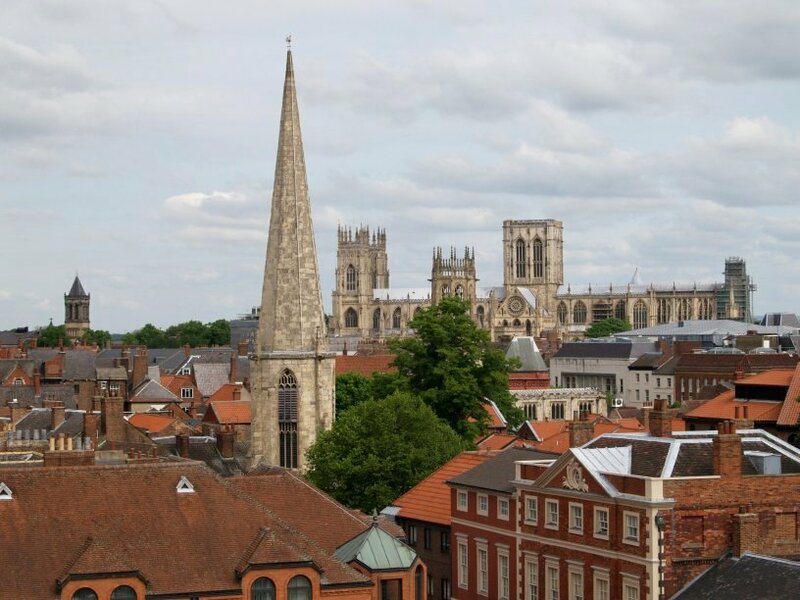 He was a great builder of castles, churches and manor houses. A clear view of the second motte the Norman's built. 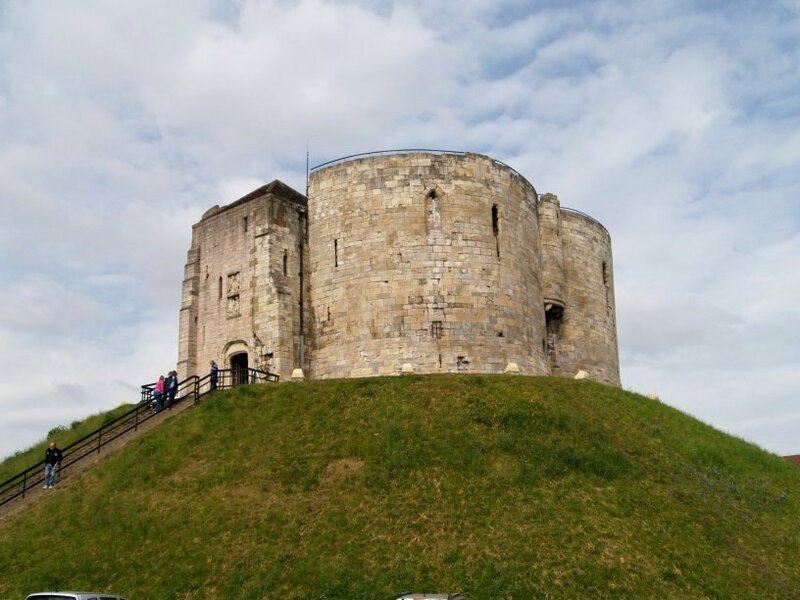 York Castle, or as it is more usually known, Clifford's Tower, was built in the 13th century on a typical Norman motte or hill. 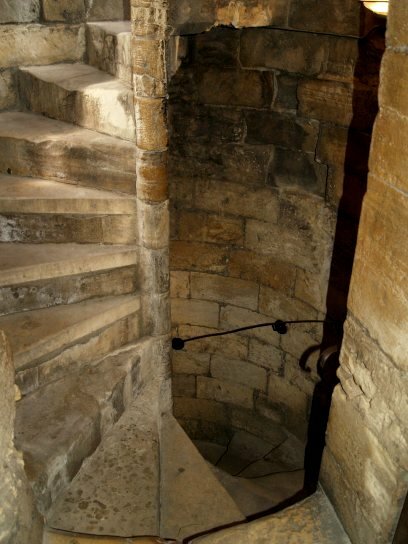 It had two floors connected by spiral staircases contained within the thick castle walls. 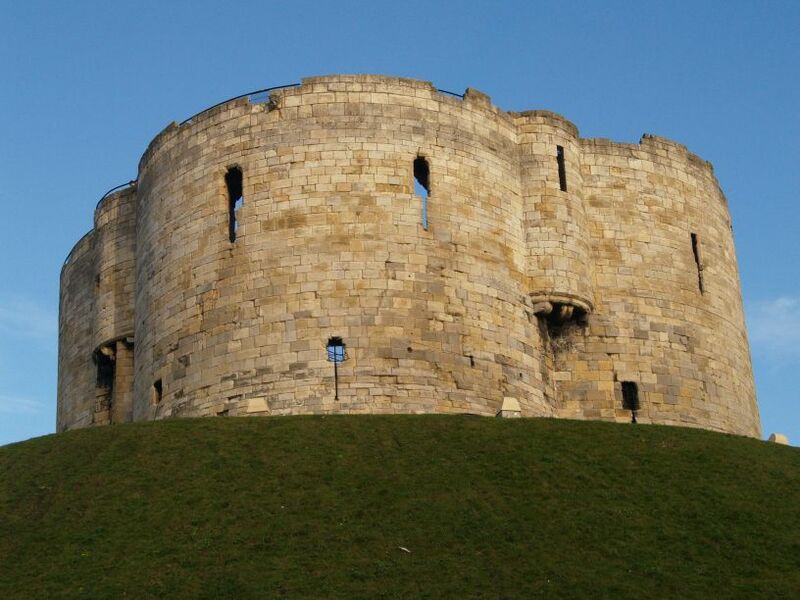 The entrance to York Castle-Clifford's Tower. 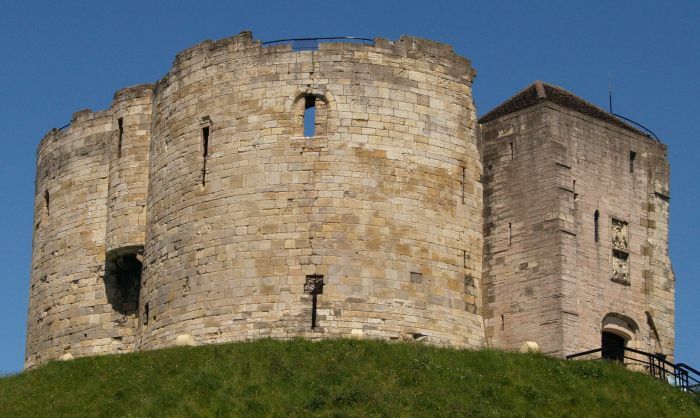 Its an unusual design for England and more in keeping with Henry II's admiration of French castle design. How the Castle's surroundings would have looked in early medieval times e.g. late 13th century. 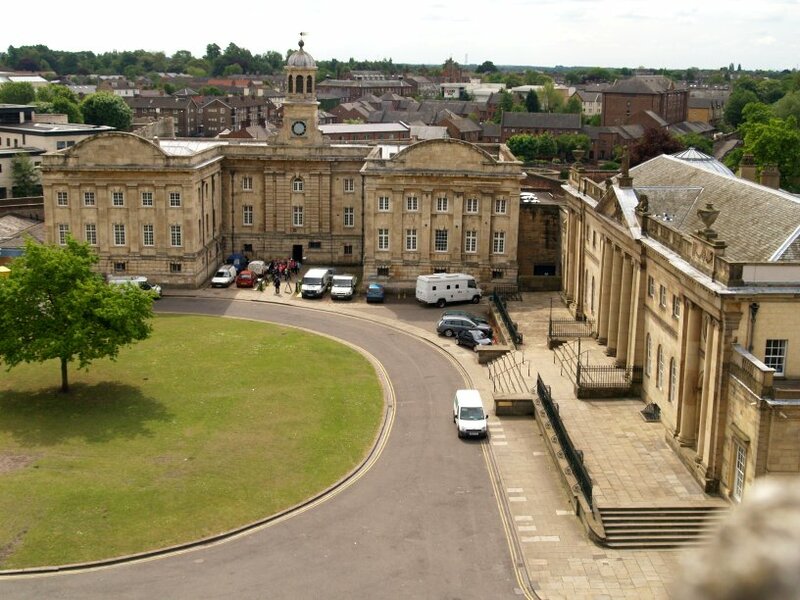 York Castle had a ground floor and an upper floor and you can clearly see where the division between them was. 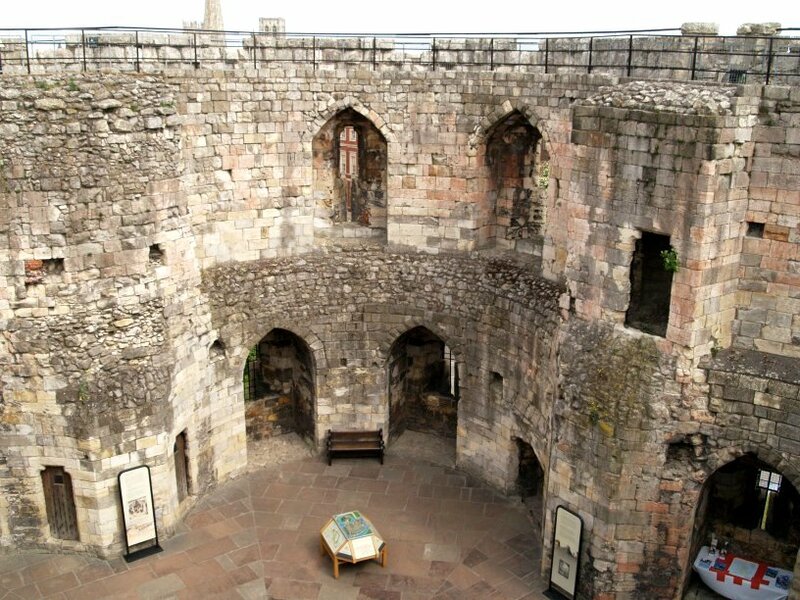 Although the internal walls and roof are gone you can still see fireplaces, windows, arrow-slits and latrines. 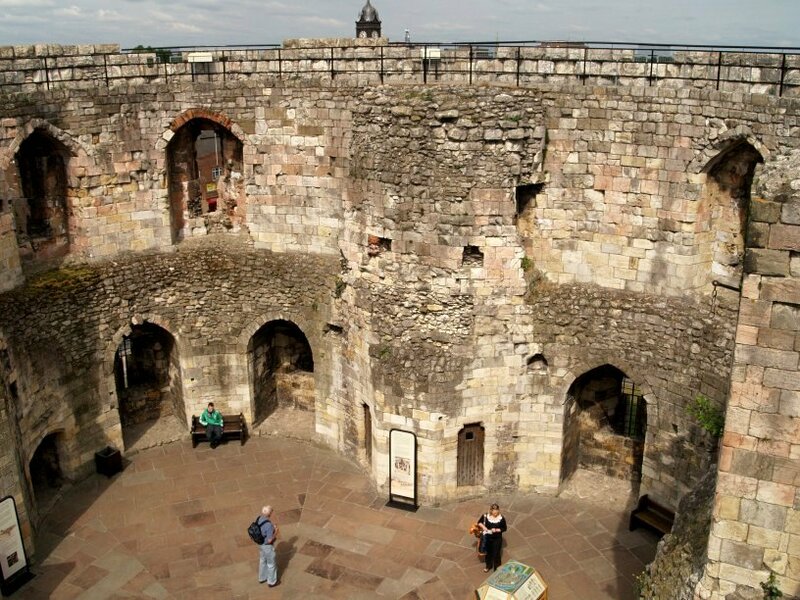 The Chapel retains some of the best medieval architecture in Clifford's Tower. 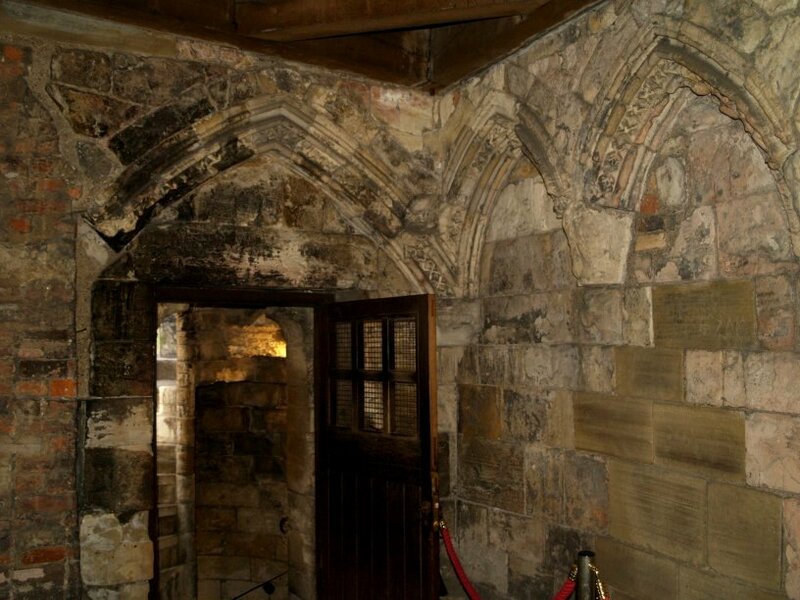 This was very much a private chapel where the King could hear mass, but it was rarely used by the visiting king and was used as a storeroom and treasury. 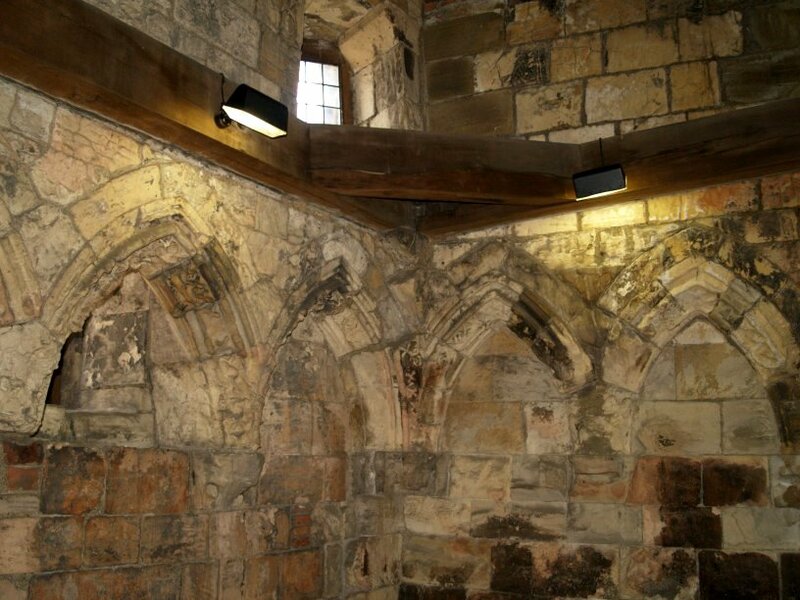 Traces remain of the fine stonework of the architecture of the chapel in the form of the pointed arches which stood on slender columns which are missing. 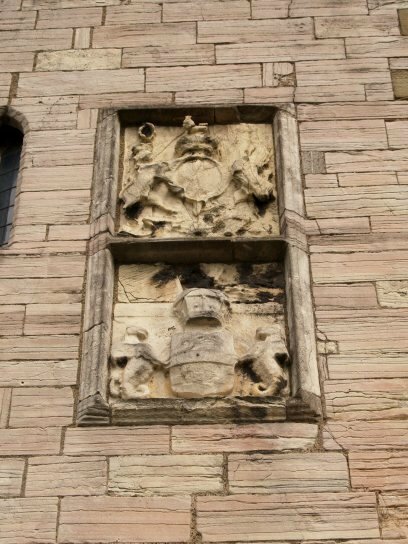 The chapel stood over the main gate entrance to the castle. 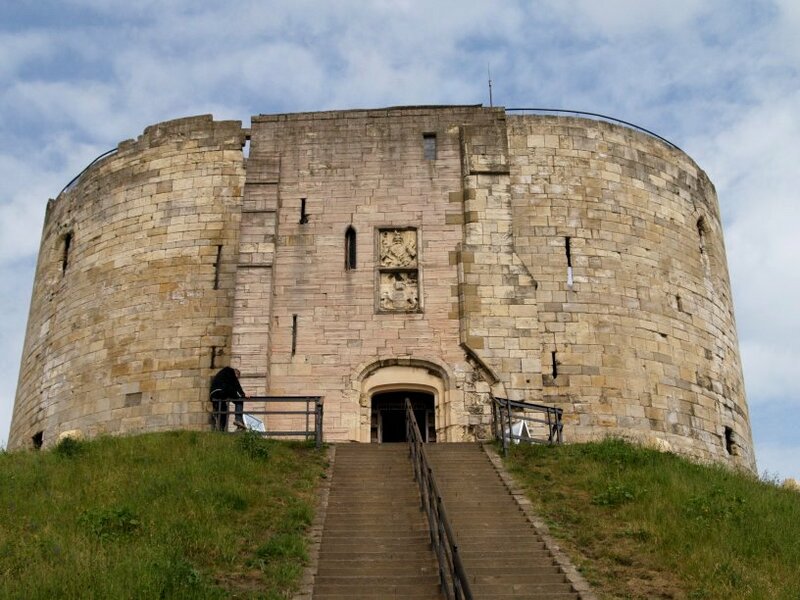 The two weathered coats of arms above the entrance to Clifford's Tower and the spiral stone staircase from the ground floor upto the battlements. 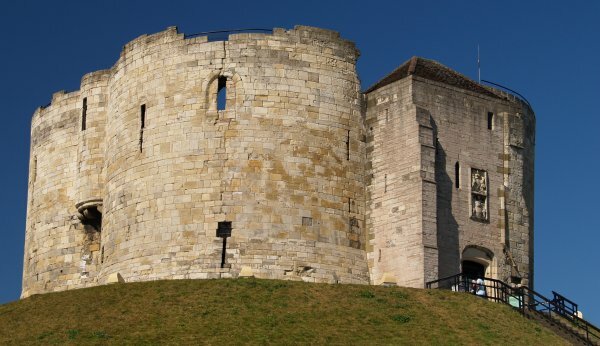 Clifford's Tower was rebuilt after the Restoration of the Monarchy in 1660 and the Royal Coat of Arms then accompanied that of the Clifford family. 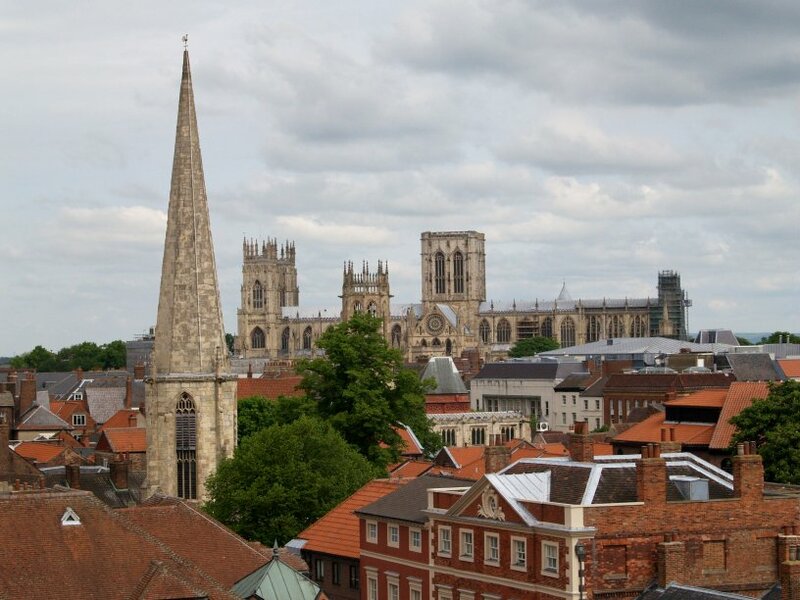 A closer view of York Minster from Clifford's Tower. 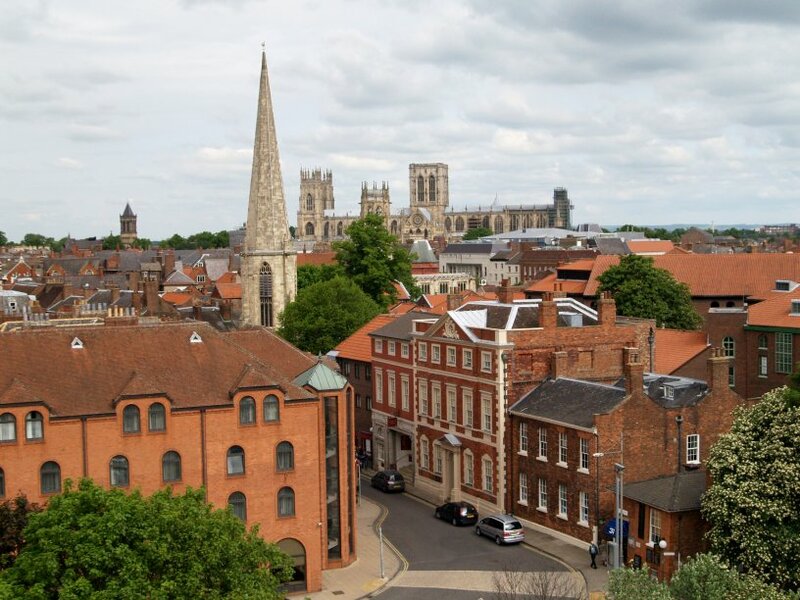 Looking down on the Castle Museum from Clifford's Tower. 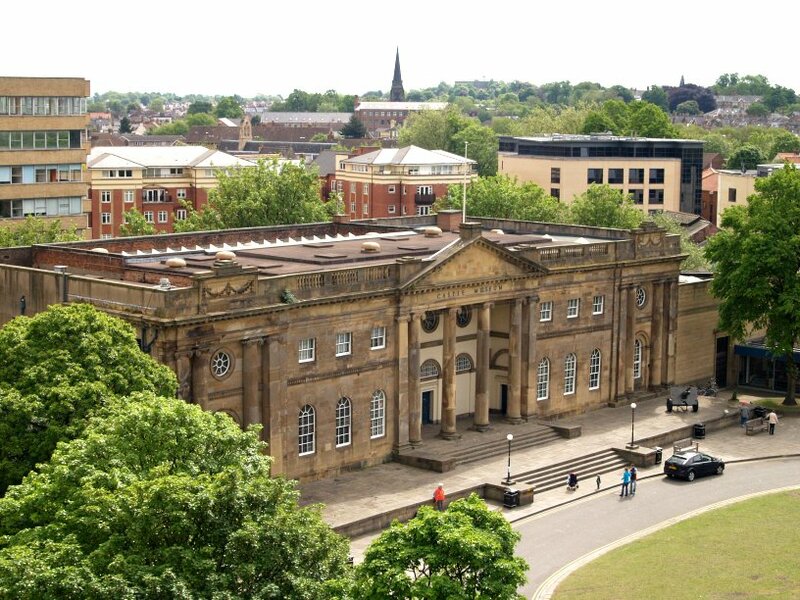 The Assize Courts view from the battlements of Clifford's Tower.